Arlington, VA – The National Waste & Recycling Association is pleased to announce that its members McNeilus Companies, Inc. and Environmental Solutions Group, have together contributed $100,000 to support the NWRA Women’s Council Scholarship program. “On behalf of the Women’s Council, we thank Pat Carroll, President – Environmental Solutions Group and Brad Nelson, CEO, McNeilus Companies, Inc., for their generous support of the Scholarship program. “This is a tremendous gift by two leading NWRA member companies who value the men and women who make up this industry. By their example, we hope that other companies will consider investing in the future of this industry by contributing to the scholarship program.” said Peggy Macenas, Director, NWRA, Midwest Region and Director of the Women’s Council. “At a time when we are seeking to attract more workers to our industry, the work of the Women’s Council and its scholarships are important resources. Environmental Solutions Group is proud to support the Women’s Council,” said Pat Carroll. This year the Women’s Council will award four individuals with $7,500 toward their education goals. Since 2007, the Women’s Council has awarded $142,500 to 36 scholars. The scholarships are limited to employees and dependents of NWRA member companies who wish to pursue a career in the solid waste and recycling industry. Scholarship applications are available here. The McNeilus Companies and Environmental Solutions Group will be recognized at WasteExpo 2018 in Las Vegas in April for their generous support of the NWRA Women’s Council. EL PASO, TX (January 23, 2018) - Heil's industry-leading dealer network is riding a little taller in the saddle now. 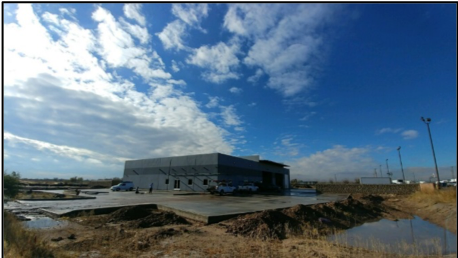 Heil of Texas, which has been providing quality sales, parts and comprehensive service to fleet owners since 2001, is increasing its investment in the Lone Star State and New Mexico with the opening of a new facility in El Paso. "Heil's dealer network provides unequalled service to waste haulers throughout the country," said Pat Carroll, President of Heil. "In many parts of the country our competition is actually pulling out of some markets, so we're proud to focus our efforts on supporting Heil of Texas and other Heil dealers as they continue to expand their territory to serve more customers." Heil of Texas sells and services all Heil products, including OEM parts. The company also operates two fulltime dedicated service trucks to service the Rio Grande Valley, West Texas and New Mexico. "We're a total solutions provider, with three parts, service and sales locations in Houston, Dallas and San Antonio," said Larry C. Davis, co-founder of Heil of Texas. "Our El Paso location expands our reach so we can better serve our valued customers in New Mexico, West Texas and the Texas Panhandle." The new El Paso facility will have eight service bays and a staff of trained technicians. Davis spent 25 years in the solid waste industry on the chassis side before co-founding Heil of Texas, bringing his industry and dealership experience to the body side of the business. Through focused leadership, he hired a team of solid waste professionals and opened facilities statewide in order to offer superior service after the sale. Employees of Heil of Texas are guided by five principles: Integrity, Service, Goodwill, Product Knowledge and Follow-through. Because of their commitment to these principles, Heil of Texas is able to provide customer service that is unmatched in the industry. CHATTANOOGA, TN (Jan. 9, 2018) — Heil’s dealer network just got even stronger with Bell Equipment’s relocation to their new location in Gahanna, a suburb of Columbus, OH. The new facility, located at 1045 Taylor Road, was designed to better serve refuse customers throughout Ohio, including public, private and municipal fleets. 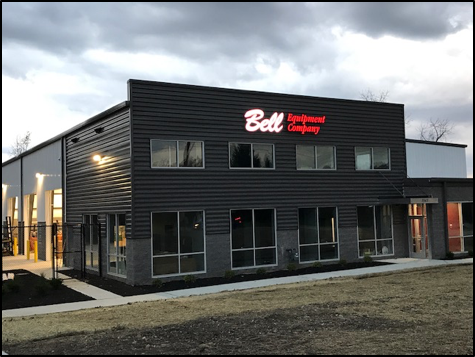 Bell Equipment’s new location is designed around servicing fleet customers, like the City of Columbus – who bear the responsibility of keeping Columbus streets and neighborhoods clean – something the Bell family has taken pride in since they opened in 1951. In addition to the shop, Bell is excited about the expanded parts warehouse that spans two floors. “Heil refuse products are well represented in Ohio – and our expanded parts inventory means that we’re better suited to ensure vehicles say productive and operational,” said Bell. In addition to quality Heil products, parts and service, Bell Equipment also offers Bayne container tippers, salt spreaders, asphalt patchers and roll-off hoists from various manufacturers at their Gahanna location as well as their corporate headquarters in Lake Orion, Michigan. Heil, established in 1901, is the first ISO 9001:2000 certified manufacturer of refuse collection bodies in the United States. 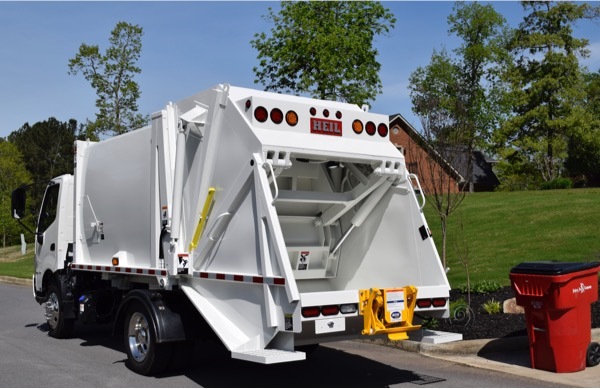 Heil is the industry leader in automated waste collection technology and offers the broadest product line, including front loaders, rear loaders, side loaders, multi-compartment vehicles, and roll-off hoists. OEM and aftermarket replacement parts are available through Parts Central. Heil is part of Environmental Solutions Group. For more information, visit www.heil.com. CHATTANOOGA, Tenn., Dec. 19, 2017 - If you are a fleet owner operating Heil garbage trucks in Vermont or New Hampshire, servicing your vehicles just got a whole lot easier. Effective January 1, 2018, Environmental Equipment Sales & Service LLC (EESS) will be expanding their area of service to include these two New England states. "We're very excited to see Dan Cowher and his team step up to the plate and expand their sphere of influence in the Northeast," said Pat Carroll, president of Heil. "Dan's long history in the refuse industry allows him to understand the demands of the equipment ­– and the services needed, in a way that resonates with refuse haulers. We're excited to have him representing our products." EESS, located in Sutton, MA, is owned and operated by Cowher, a Navy veteran who spent much of his life in management roles with several major national haulers. EESS is a dealer for all Heil product families, including OEM parts and service, and has two service bays. In addition, EESS is also equipped to make emergency roadside calls with a fully outfitted service vehicle, which includes a crane, compressor, welder and the ability to make hydraulic hoses on site. "We're very proud to be able to extend our reach to Vermont and New Hampshire," said Cowher. "I've understood the importance of maintenance and uptime since I was a 13-year-old kid – so when it comes to garbage trucks – if they're aren't packing, they aren't making money. At EESS, my job it to ensure that we keep our customer's trucks up and running." EESS is one of 39 Heil dealers with 59 separate locations throughout the United States and Canada, making Heil's dealer network the largest in the country among refuse body manufacturers. Municipalities, public and private fleets have come to rely on Heil products as well as parts and service, and EESS's continued expansion will extend that commitment to fleets in New Hampshire and Vermont. Chattanooga, TN. (Sept. 26, 2016) — Environmental Solutions Group (ESG) has announced the acquisition of Alliance Wireless Technologies, Inc. (AWTI) of Houston, TX. Details of the acquisition have not been disclosed. AWTI, with its industry leading brand 3rd Eye Cam, provides state-of-the-art mobile and facility vision technology that greatly improves safety, security, driver accountability and behavior, and mitigates risk related to fleet and facility management. integrated solution focused on customer needs. Alliance Wireless Technology Inc., provides state-of-the-art mobile and facility vision technology that greatly improves safety, security, driver accountability and behavior, and mitigates risk related to fleet and facility management. For more information, visit www.awti.com. Environmental Solutions Group encompasses industry-leading brands — Heil Environmental, Marathon, Bayne and The Curotto-Can — to create a premier, fully integrated equipment group serving the solid waste and recycling industry. Through extensive voice-of-customer outreach, in-house engineering and manufacturing capabilities, a wide-reaching service network, and proven industry expertise, ESG is focused on solving customer problems through environmentally responsible products and providing world-class support. For more information, visit www.doveresg.com. Need to buy a garbage truck but unsure about financing? Choose from the industry's largest Ready Truck inventory with the best available financing. For more information, visit our dealer locator, call 1-256-845-8355, or email financing@heil.com. (East Lansing, MI) - People in East Lansing no longer have to cram their recyclables in a 10x10 bin. No more driving miles to drop off their larger recyclables. "Now our residents will be able to recycle items like cardboard, box board, and cartons. We're exceptionally excited about all those items, scrap metal from your household," said environmental services administrator Cathy DeShambo. Thanks to a $125,000 grant from Recycling Partnership homes are getting 96 gallon carts that will hold a lot more than before. Without the grant, carts would cost homeowners more than $50.00 a piece. East Lansing Mayor, Nathan Triplett, expects to see a growth in recycling, "We expect to see a significant drop in rubbish collection and a significant increase, potentially upwards of an initial 40 - 50% in our recycling stream. So that's economically good for the city, environmentally sustainable, and we're looking forward to seeing the transition. Along with the more than 7,000 carts that have been delivered to the city comes a new hydraulic hybrid Heil garbage truck. "It's the first of its kind in Michigan. We are a hydraulic hybrid system by nature. A hybrid means two forms of energy," said Angelo Caponi of Parker Hannifin Engineering. "It's kind of like a balloon. You blow up a balloon, it expands and when you let it go; it flies. That's the more energy that you capture and pressurize, the better your next take off will be," explains Caponi. The new truck will use 40-50% less fuel and reduce emissions. A truly green truck on a green mission. "The less diesel fuel you're burning, the less CO2 you're putting into the air and the less (Carbon oxide) the less total hydrocarbon. It really is a solution to a problem," Caponi said. DeShambo said while the city is celebrating one green victory, they are already working towards future green growth. "We want our residents to be able to recycle as much when they're enjoying our downtown and coming here to go out to dinner or to shop. 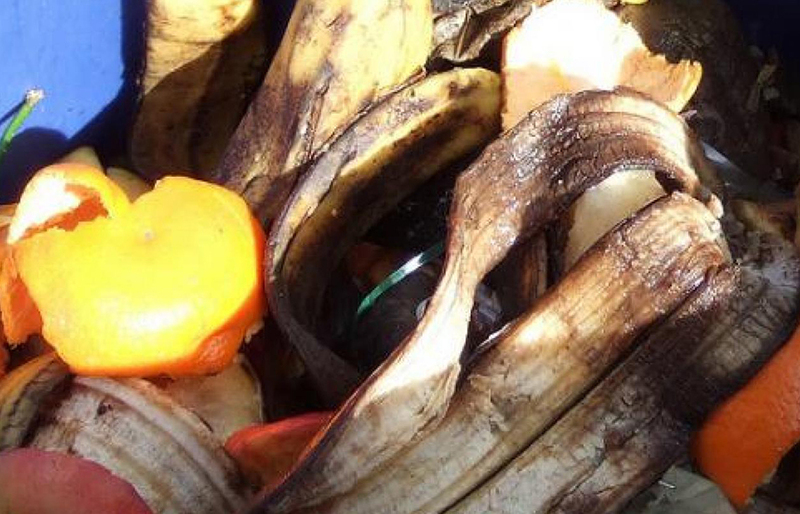 We want them to have places where they can recycle their plastic bottles and their coffee cups." 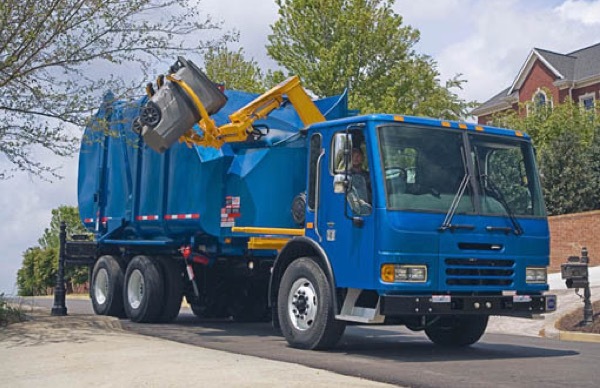 Another new thing for the City of East Lansing, they will cut down the number of pickups from weekly to twice monthly to help reduce wear and tear on the roads. Learn more about Heil Rapid Rail Side Load Bodies here..